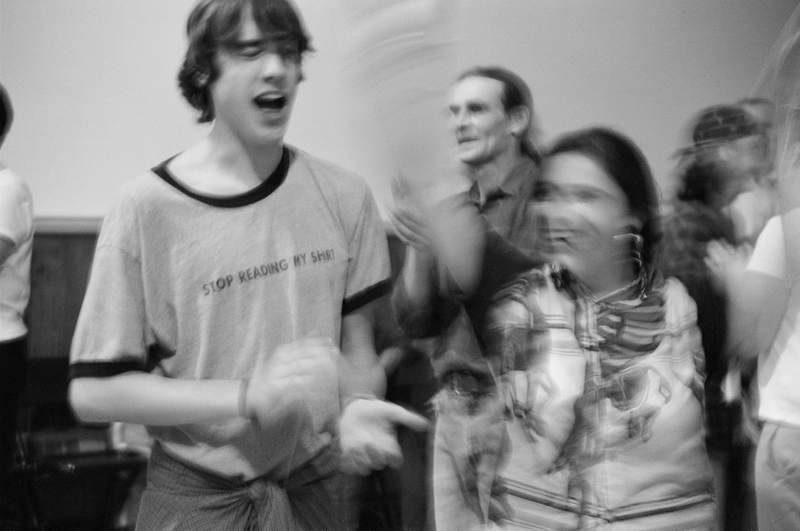 Contra dance in Tinmouth, VT, 2006: where I started contra dancing in 2003, and will now be returning for the first time in six years to call the November dance. After exchanging more emails than I care to count, I currently have six gigs currently booked in a four-week period, and more in the works. Gosh darn it, this may turn into a real tour. I have already learned so much about different dance communities just by going through the process of contacting them about their booking processes. What seem like revelations to me are old hat to more experienced callers, I’m sure, but this has been quite a learning process. Below I’ve listed a few lessons learned so far. 1. Contact dance organizers EARLY (six or more months in advance) to book gigs. Even if they ask you to email back in a few months, that’s better than missing an opportunity to call. Some communities book only twice a year; January/June or March/September are the two I’ve come across most frequently so far. Some book year-round, a few months out. 2. Don’t contact potential hosts too early. People can only think so far ahead in their personal lives. 3. Include links to videos of yourself calling in the first email you send to make it easier on the people doing the booking. If they are serious about your inquiry, they’ll Google you anyways. 4. Follow up, follow up, follow up! Emails can get lost in the cracks for so many reasons. Many dance organizers have busy lives, and inboxes – especially if they are planning a big event like a dance weekend. 5. Contra dancers, callers, musicians, and organizers really are some of the sweetest people on the planet. Really. I am astounded by the level of care and detail that goes into their emails. 6. Once you know you will be traveling through a particular area, look on a local dance website for a list or map of regional dances nearby. These lists/maps have been incredibly helpful in planning my route. It narrows down my search to manageable geographical clusters, and keeps me from spending hours tabbing between an internet search for “[State] contra dances” to Google maps.